A few weeks ago I shared news of the JNP Project as well as a new educational chapter book series that helps kids recognize their inner-awesome selves. I am excited to share a guest post with you today from Dona Rudderow Sturn, who behind the JNP Project. I also wanted to share that since my last post, the Boomerang It! Challenge has spread to Maryland, Missouri, Texas, Utah, New York, Canada, Australia, Cyprus, Germany, France, Italy, Hong Kong, Nepal, Singapore, Spain, and South Africa. Amazing! The JNP Project is dedicated to help kids grow their inner awesome (self-esteem) through chapter book adventures in character, courage, and confidence. Parents want their kids to stand tall with positive self-esteem—as a mom of four children, I certainly do. Years ago when my kids were little, I searched for resources created especially for children to build their self-esteem—the results were limiting, and the endless search was frustrating! Although I found and read many good books to them, I could not find books about building self-esteem that met my need for a balanced approach. I wanted—and still want—my kids to feel good about themselves. To believe that they can make unique and valuable contributions to themselves, their communities, and the world. And to understand that acting from true self-esteem positively affects others. I wondered: where were the self-esteem resources that would empower kids’ growth in their true self-esteem? Fortunately, today there are many resources available, especially online, to help parents support their children’s self-esteem development. But, where do you find those that will give kids the empowering message that “I am awesome from the inside-out! That question led me to found The JNP (Jane Not Plain) Project. Through thirty-one new, fun, adventurous, and educational chapter books, JNP is helping kids recognize their inner-awesome selves (self-esteem) and to deliberately choose to act from their own character, courage, and confidence. 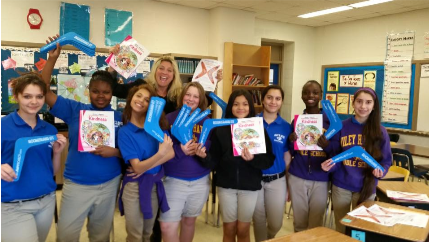 Awesome, our readers—like the kids at Bates Middle School in Annapolis, MD (shown above), become friends with sea-creature characters such as wise, old Jaunty Mr. Sea Turtle, Monte The Magnificent crab, the teenage Royal Mer-Twins, and the (often) annoying Murky Moray Eel. With Jane, Jake, and Oracle, our readers solve puzzles, discover inner-awesome character traits, and hunt for—and find—The Big Secret. 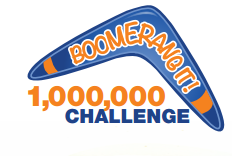 One simple way to get involved with building self-esteem through doing acts of goodness for others is to join the JNP Project’s exciting new “Acts of…” Boomerang It! Challenge, which is now circling the globe. (Please visit The JNP BoomerangIt! Challenge page for further details.) The ENTIRE Marley Middle School just took the Challenge ! 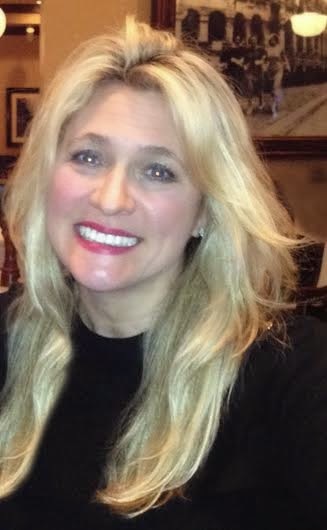 "I strive to develop, deliver and support the “good-things”– those that are the most positively enriching tools for parents to strengthen their children’s confidence and fruitful learning experiences for children to grow stronger with insightful characters and adventures that will stay with them for their lifetime. The JNP Project promotes self-esteem through stories and products that are fun, educational, inspiring, and enriching. I am working to do something good, do it right, and through my efforts and The JNP Project, make a positive difference for children!" Learn more about the JNP Project, the new self-esteem building educational book series, as well as the Boomerang It! Challenge by visiting http://thejnpproject.com/. This sounds like an excellent program and building self esteem early is so very important.